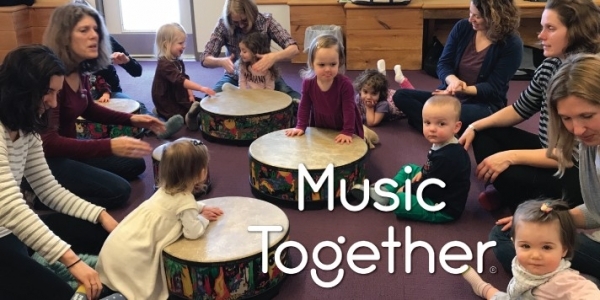 Music Together® is a music and movement approach to early childhood development for infant, toddler, preschool, and kindergarten-age children and their parents, teachers, or other primary caregivers. The Music Together® approach develops every child’s birthright of basic music competence by encouraging the actual experience of music rather than the learning of concepts or information about music. For more about Music Together®, click here www.musictogether.com. Cost includes one CD, a digital access code and songbook. Enter code sibling-mt at checkout for sibling discount. No class April 19. Kathleen Dolan has an LCMHC from the State of Vermont, an MA in Art Therapy, and an MA in Fine Arts. She has worked with children for over 30 years as a care provider, counselor and in association with visual arts and music. Kathleen is a registered Music Together teacher, a research-based early childhood development program that provides the foundation for music education to infants through kindergarten-aged children. Along with several other therapists Kathleen has a counseling practice for children and adults near ArtisTree. She remains a part-time arts instructor for children and adults and continues to raise her two now teenaged children.